Outdoor lovers with a competitive streak can rise to the challenge during a great nature-themed contest this spring. The Missouri Department of Conservation’s (MDC) Rockwoods Reservation will host the Amazing Rockwoods Race competition Saturday, April 14 from Noon-4:30 p.m. Much like the popular TV program, participants will take on physical and mental challenges as they discover nature in a unique and active way. Teams of two-to-four adults will race along five miles of trails and compete in a variety of nature and outdoor skills themed contests. During this event, participants will have the opportunity to sample many different types of outdoor activities. These include hiking, birding, mushroom collection, searching for wildflowers, and more. “The Amazing Rockwoods Race will provide an opportunity for outdoor enthusiasts to sample a variety of different activities through nature and outdoor skills themed challenges along our five miles of trails,” said MDC Naturalist Trincy Beasley. 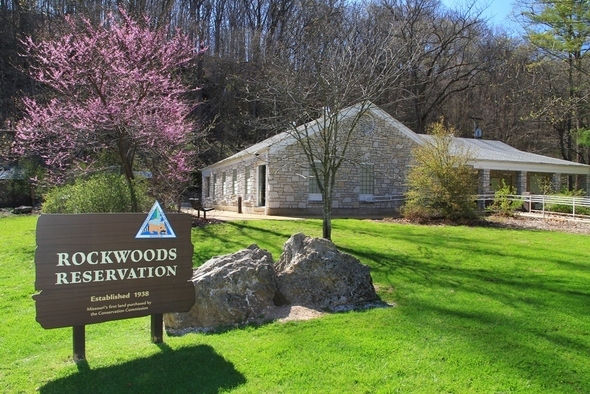 Beasley suggested that participants visit Rockwoods before the race to hike the trails and brush up on their identification skills and their knowledge of Rockwood’s history. She also said that they should bring along a backpack and their own hiking gear, but binoculars and field guides will be provided for participants to use in the various challenges. The program is free but advanced registration is required by going to https://goo.gl/EaH2GD. Those interested in participating should register only one team member per team online. That team member will be contacted via email within two days of registration with further instructions for their team. The registered team member must respond to the email within two days to save their team’s spot. All participants must attend one mandatory one-hour safety training on either Saturday, April 7 from 9-10 a.m., or Thursday, April 12 from 7-8 p.m.
Rockwoods Reservation is located off Highway 109 in Wildwood, at 2751 Glencoe Road.